Both overstocking and overfeeding create a lot of waste and tax the ability of the tank to process it properly. This results in poor aquarium water quality and an unhealthy environment for fish. 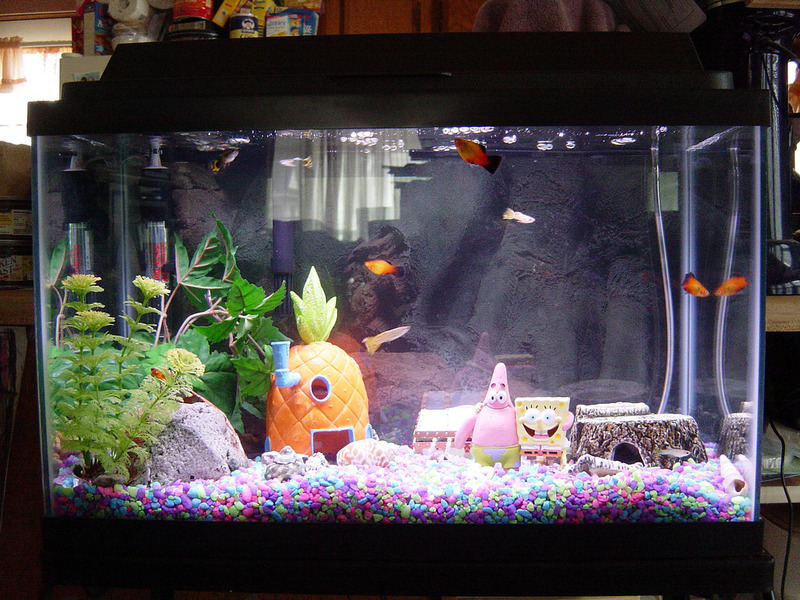 While this is true of all tanks, a small tank like a 10 gallon aquarium is especially susceptible to this problem. Cloudy aquarium water is a common issue. Fish are cold blooded, and a slight shift in water temperature can cause stress and diseases. When doing a partial aquarium water change in 10 gallon aquarium, the temperature of the water going into the tank must be the same as the water remaining in the tank. This is true in all tropical aquariums, but it is especially true for smaller tanks where aquarium water volume is low. Even a few degree difference in water temperature can be significant. Some starter kits have a small plastic in-tank filter. Others have a small HOB power filter. A small plastic in-tank filter can do the job for a 10 gallon tank provided the fish count is kept low. An HOB power filter can provide more filtering capacity and can keep aquarium water cleaner. There are many different HOB power filter brands available. Most can be purchased on-line or at pet stores in the 800-2000 ($15-$30) range. Its worth the upgrade.